being little • bristol uk fashion & lifestyle blog. : folkadot. You look so lovely here and that is awesome!!! you look ever so lovely, lyzi! 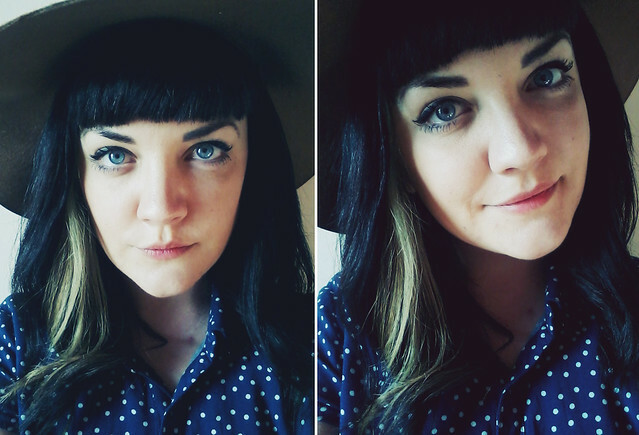 the floppy hat works so well with your blunt fringe and eye makeup. why are you so darn pretty? sigh. 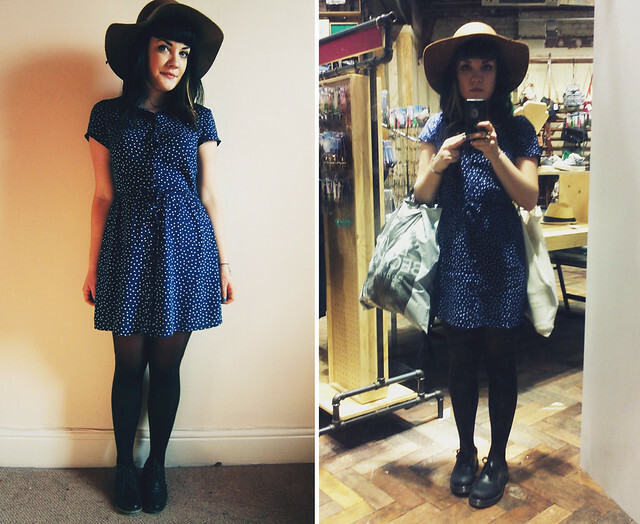 the polka dot dress looks perfect on you, i have it myself but it looks nowhere near as nice on me! i'd probably recommend hand washing it as i put mine in the washing machine and it's changed shape a little. Love your outfit the floppy hat will look great with so many things love it! pretty pretty pretty lyzi, i love how you dress! I love it! And your shoes, are they doc martins? That hat looks like it was made for you! that dress is beautiful!! why havent i seen that? haha. i completely raided H&M for everyone dress they had yesterday. what a lovely dress, you look so pretty!